You are here: Home / Event / What’s in the Plan Stan? What’s in the Plan Stan? We’ve spent the past few months reading as many community-produced plans as we can from Big Local, as well as other neighbourhood-change projects – especially neighbourhood planning and neighbourhood budgets (now called Our Place!). 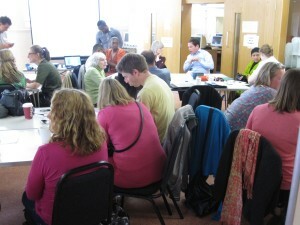 As part of this we held workshop on 18 June in Barnfield, SE London getting people together to share plans from different projects across the country to see what they have in common. The answer is… a great deal! Common factors included – reflecting community aspirations more than those of public agencies, capturing and empowering individual action as much as action by groups of formal bodies, and an underlying bias towards inventiveness, entrepreneurialism, and creativity. 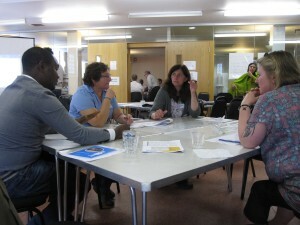 We heard from Donna at Voluntary Action Camden about neighbourhood planning in two very different London communities – Somerstown, a community dominated by social housing sandwiched between two mainline stations, and Bloomsbury a community on the edge of London’s West End with extremes of wealth and poverty. 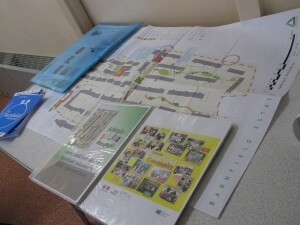 We also heard from the Barnfield Community Group about how they are using the energy and expertise they developed through five years of Well London, to now develop a Big Local Plan to use £1m of Lottery money their community has received. And we heard from the chair of the Grove Park Community Group about how they are looking for ways to make positive changes happen in their neighbourhood whether that’s through community planning or other ways. If we were getting really carried away we’d say there’s a bigger theme here of de-institutionalising and re-humanising communities, tapping into personal passions, enabling enterprise, and creating value. 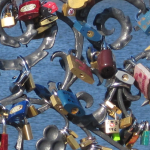 We might even argue this points to a new breed of community action or even a ‘movement’. 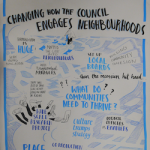 We were also struck by the language CLG used around community-led change in relation to neighbourhood budgets – (and the newly launched Our Place!) which was quite a shift from what began as much more local authority-led processes two years ago. And another thing we found interesting were the routes these and other projects look like they might be going down. For some it’s too soon to say what route they are on – but some seem to have chosen different routes which might take them to quite different places. See our next post for more on this.